Are Aishwarya Rai & Abhishek Bachchan Expecting Their Second Child? A photograph of Aishwarya Rai Bachchan doing the rounds on social media has made fans speculate whether the actress is pregnant with her second child. Aishwarya was spending some quality time with hubby Abhishek Bachchan when they were clicked on a beach in Goa. These snapshots went viral on the Internet in no time, and of course, netizens were quick to notice Aishwarya’s stomach bulge. The actress was wearing a shirt and a pair of shorts. Both Abhishek and Aishwarya were looking breezy while walking barefoot on the beach. Looking at the slight bump on her belly, Twitter users got excited and soon more jumped the bandwagon of guesswork. Fans went as far as to express that they want the couple to have another baby. Sadly, much to their dismay, Aishwarya Rai Bachchan’s spokesperson rubbished all the pregnancy rumours stating, "It was the doing of a bad camera angle and nothing more." Aishwarya Rai Bachchan and Abhishek Bachchan's love story is no less than a fairytale. The couple met each other for the first time on the sets of their first movie together Dhaai Akshar Prem Ke in 2000. 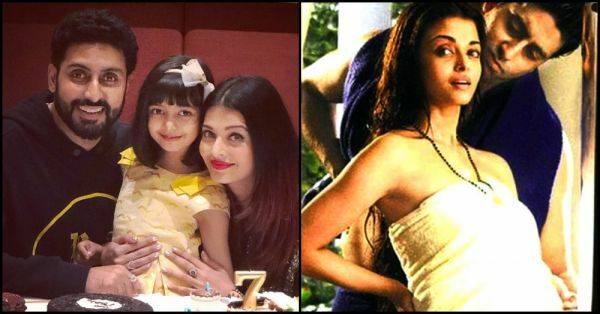 They got married in 2007 and welcomed their first child Aaradhya in 2011. 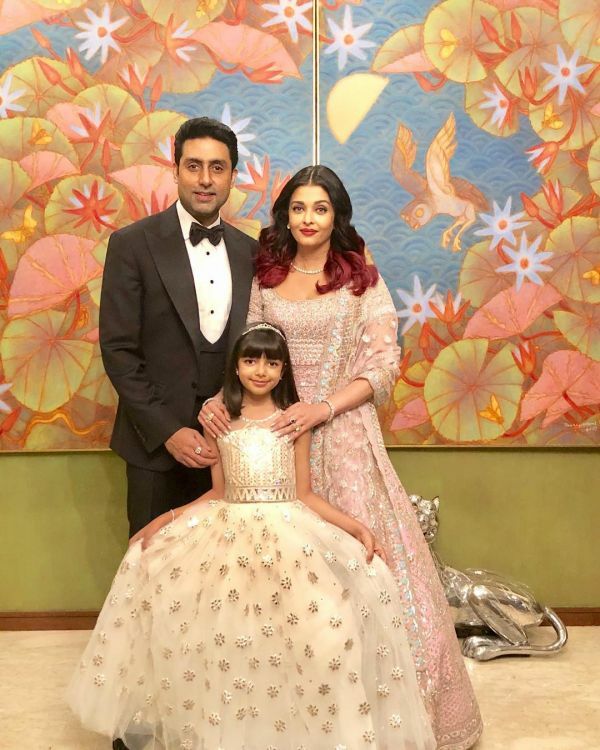 Aishwarya and Abhishek, along with their daughter, were recently spotted at Akash Ambani and Shloka Mehta's grand wedding. The three of them just fit the frame perfectly, don't they? Aishwarya was last seen on screen in the 2018 film Fanney Khan and hubby came back to the big screen after a two-year hiatus with Manmarziyaan. Meanwhile, there were reports of the real-life couple coming together in Sarvesh Mewara’s film, Gulab Jamun. The filming for the movie had to start in January. However, as things didn’t pan out well, both the actors decided to opt out from the project. On the other hand, according to the grapevine, Aish and Junior B might come together for Sanjay Leela Bhansali’s film, but no confirmation has been made yet.